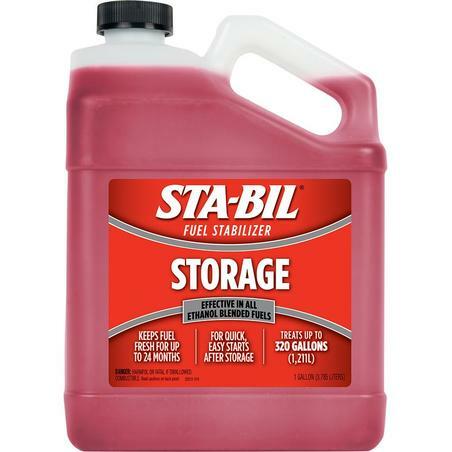 STA-BIL Storage Fuel Stabilizer is a fuel additive that keeps fuel fresh for quick, easy starts after periods of storage. 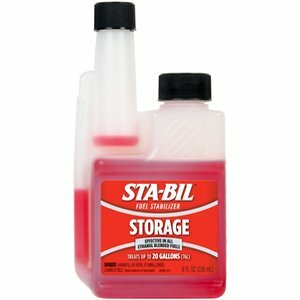 Designed for all petrol engines, STA-BIL Fuel Stabilizer eliminates the need to drain fuel before storage in order to protect your engine from the gum, varnish, rust, and corrosion that can afflict engines after petrol left in the tank has broken down. It also prolongs the life of an engine by removing water from petrol tanks, and cleans carburetors and fuel injectors. The solution works safely and effectively in all petrol blends, including ethanol-blended fuel up to E85. Perfect for vehicles that aren't used on a daily basis! It's hard to believe, but fuel left in the tanks of a stored vehicle can begin to break down in as little as 30-60 days causing gum, varnish and corrosion to build up in the fuel lines and engine. One traditional solution to this problem is to drain the tank before storage, but this is time-consuming and messy. It can also be counter productive since it is very difficult to get all of the fuel out of a tank and leaving the walls of your fuel tank exposed during storage can invite corrosion in the presence of moisture, especially in fuels containing ethanol. 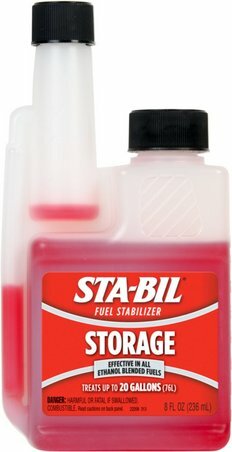 STA-BIL Fuel Stabilizer does away with all this by inhibiting fuel break down, allowing you to leave fuel in your stored vehicle worry-free. It also cleans carburetors and fuel injectors in the event of existing gumming up of fuel systems prolonging engine life and ensuring quick, easy starts after storage.